Alison Hoagland is a key leader on Mackenzie's retail team. Alison has worked on a range of project types in her time at Mackenzie, including retail, commercial, hospitality, educational, industrial, and public safety facilities. Her attention to detail and grasp of a project’s big picture enables her to keep jobs on budget and on schedule. 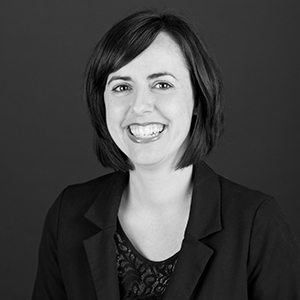 Alison earned her Bachelor of Architecture from the University of Oregon in 2004. "I enjoy the puzzle that is unique to each project, from a beautiful design opportunity to a code challenge to an energy or sustainability goal; I take great inspiration in solving the challenges and seeing where they can take a project. " I recharge by fully immersing myself into the world of my family. I am a team player. I love every aspect of working together to get a job done. I focus on the end product and how to get there. knowing your project like the back of your hand, understanding your client's needs and going above and beyond to make sure the schedule, budget and goals for the project are met. It's sharing a high five at the end of construction and going back to the building you have created together as a team and seeing it in action.